Hidden away at a beautiful beach house in Isla Negra some 45 kilometres south of Valparaiso, Chile, you may find an array of coloured glasses belonging to poet Pablo Neruda, who believed that different colours would enhance the taste of wine. Could this be true? To answer the question, Zahara threw two parties in early 2017 to find out, serving identical wines to the same guests. Unwittingly, the guests were marvelling at the rich aromas of the wine during the second party. Wine and guests all remained the same, the only difference being Zahara’s visually enchanting glasses. The exquisite artisanal work boasted a range of hand-painted colours and shapes, inviting and further sustaining a steady stream of conversation throughout the night. Heartened by this warm response, Zahara begun traveling around the world, drawing on countless spectacular sights for inspiration to enrich its repertoire of glasses, while sharing their experiences to any with a keen ear. Now anyone can delight in the beauty and novel drinking experience a Zahara glass offers. Drawing inspiration from Chilean poet Pablo Neruda’s coloured glasses, this glass features a kaleidoscope of royal hues in its stem to invigorates the drinking experience. With every piece carefully painted by hand, take comfort in knowing that your finest wine is served with commensurate precision, dedication and love. 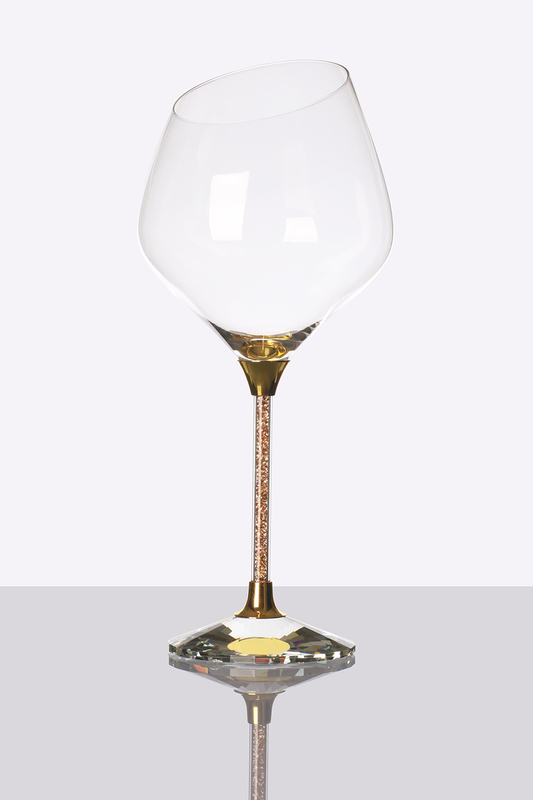 The sloped top of this exquisite glass guides the wine’s bouquet through your senses, allowing you to immerse fully in all the subtle, delicate flavours. A perfect match for those looking to embellish an occasion with the brilliance of high-quality crystals, embedded in the stem. 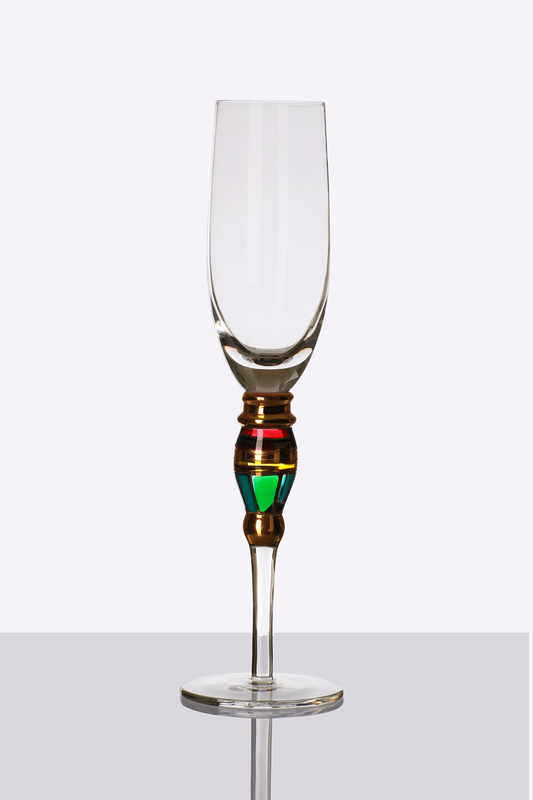 Sip from a ring of gold with this elegant champagne flute. At its heart lies a precious diamond- encrusted gold ball to adorn any occasion with a dazzling flourish, so you can sit back, relax, and let this beauty work its magic. 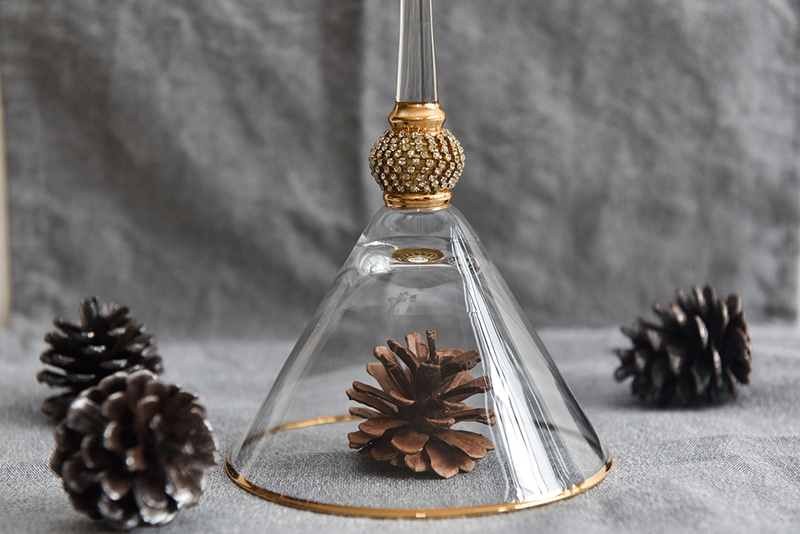 Zahara combines the slim, signature shape of a cocktail glass with an enchanting focal point: a treasure trove of crystals, encapsulated in a bulb at the stem. 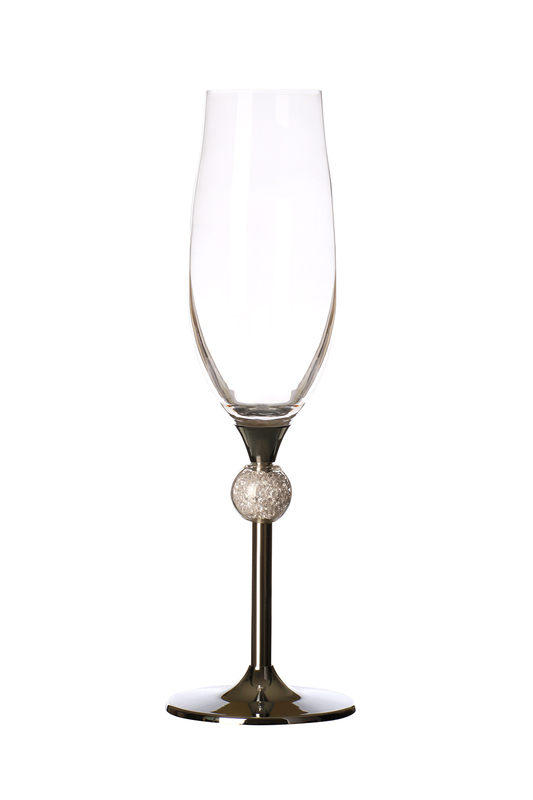 This chic glass adds texture and fun to any soirée as you indulge in your favourite drink. 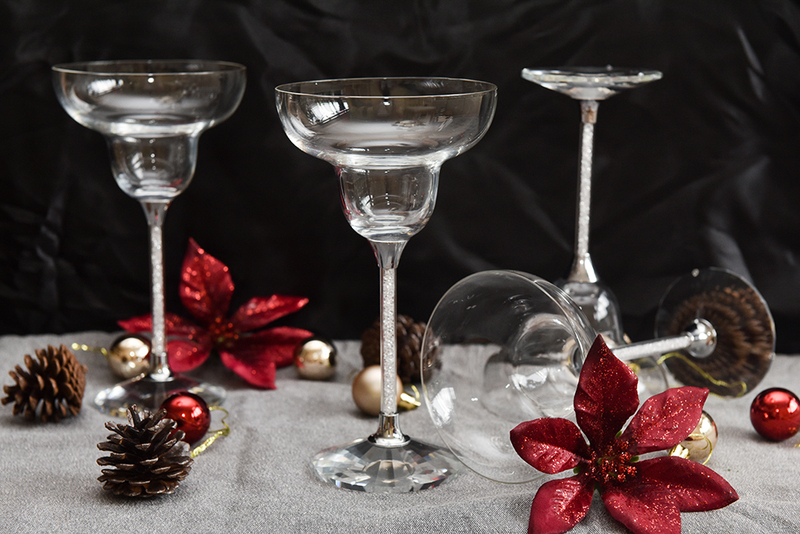 Lend a touch of sophistication to a classic cocktail with this margarita glass, replete with delicately- cut crystal in its stem. Simple, yet timeless.